The news in Atlanta today reported a collision in which a 15 passenger hotel airport shuttle van struck the side of a tractor trailer that was attempting a u-turn. As a transportation safety trial lawyer who is a frequent passenger on airport shuttles, it caught my eye. As more reports have come out, it appears 18 people were injured and at least two are in serious condition. Intrastate passenger carriers with this size vehicle in Georgia are required to carry bodily injury liability insurance of only $100,000 per person and $500,000 per accident, although interstate passenger carriers are required to have $5,000,000 liability coverage. News reports indicate the shuttle bus was operated by MTI Limo & Shuttle Services, Inc., an intrastate passenger carrier with five vehicles and 20 drivers. Its liability insurance coverage is not publicly disclosed. It operates from the same address (2581 Sullivan Road, College Park) as MTI Bus Company, Inc., an interstate bus company based in College Park with $5,000,000 liability insurance coverage with Occidental Fire & Casualty. According to news reports, the shuttle left skid marks 158 feet immediately before the impact. I will leave it to accident reconstruction experts to determine the speed of the bus before it struck the side of the tractor trailer. Whenever I hear of a tractor trailer attempting a u-turn in the roadway, I suspect a possible violation of O.C.G.A. § 40-6-121, which prohibits a driver from attempting to proceed in the opposite direction where such a turn could not be made in safety and without interfering with other traffic. Violation of that statute is negligence as a matter of law. Motor carriers are required to exercise care in planning routes and to follow state traffic laws. If the tractor trailer was an interstate motor carrier it is required to have at least $750,000 liability coverage, and is more likely to have at least $1,000,000 liability coverage. Larger companies often have much higher levels of coverage. In a collision between a 15 passenger van and a tractor trailer resulting in serious injuries or death, one would need to investigate a broad range of safety issues regarding the operation of both vehicles, including speed of the van, improper u-turn by the tractor trailer, etc. Where can the victim of an interstate truck or bus crash file suit? A motor carrier or broker providing transportation … shall designate an agent in each State in which it operates by name and post office address on whom process issued by a court with subject matter jurisdiction may be served in an action brought against that carrier or broker. 49 U.S.C.A. § 13304(a). This enables courts to obtain personal jurisdiction over an interstate motor carrier in states where the carrier may or may not do business, but in which it has a registered agent, for incidents occurring in a third state. McKamey, 744 A.2d at 532 n. 14 (citing cases). By designating an agent in another state pursuant to the Motor Carrier Act, a corporation undertakes a “voluntary, reasoned act,” acknowledging that it may be sued in that state as a result of its interstate commercial enterprise-irrespective of where it may have committed the tort at issue. See Leonard v. USA Petroleum Corp., 829 F.Supp. 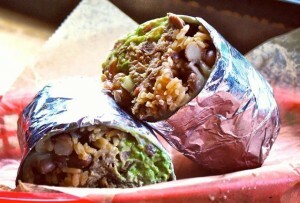 882, 886 (S.D.Tex.1993); Chick v. C & F Enterprises, LLC, 938 A.2d 112 (NH 2007). A wide variety of strategic and tactical factors may come into consideration, including differences in substantive, evidentiary and procedural rules in various states, location of other potential defendants such as brokers and shippers, availability of witnesses and quality of the courts. These may be the possibility of a motion to dismiss or transfer a case based upon the doctrine of forum non conveniens. However, consideration of venue options may be far broader than most lawyers recognize. Thanks to my friend Morgan Adams in Chattanooga for pointing this out to me. Truck wrecks – what is a commercial motor vehicle subject to truck and bus safety rules? d.	Is used in transporting material found by the Secretary of Transportation to be hazardous. Every state has adopted most portions of the Federal Motor Carrier Safety Regulations for intrastate transportation. Five years ago, a tour bus carrying the baseball team from Bluffton University in Ohio crashed in predawn darkness in Atlanta. I was part of the litigation team of Ohio and Georgia lawyers who represented the team members and their families. We finally concluded the cases last summer. 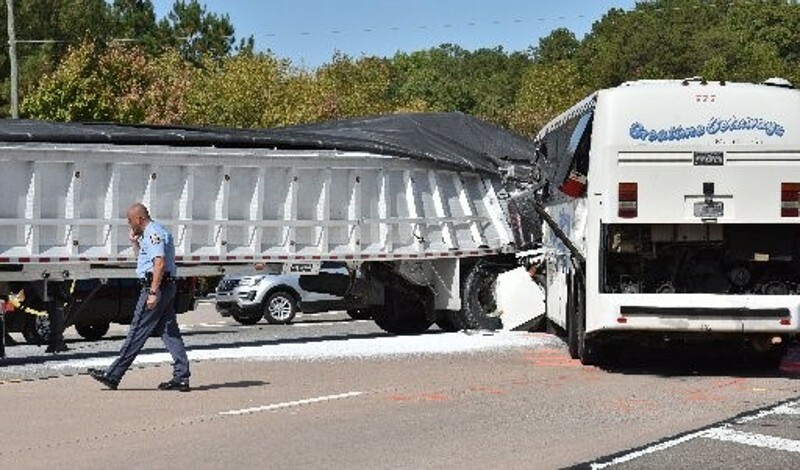 As a direct result of the Bluffton team bus crash, today the United States Senate passed a bill on tour bus safety that would, if enacted into law, require safety belts and stronger seating systems to protect occupants of such buses, improve driver training, and require anti-ejection glazing windows to prevent passengers from being thrown out of the motorcoach. It remains to be seen what, if anything, will happen in the House of Representatives. In my truck and bus accident law practice in Atlanta, one of the more newsworthy cases in which I have participated arose from the crash of the Bluffton Univeristy tour buss in Atlanta in 2007. In predawn darkness, a bus took a confusingly marked exit ramp and crashed off a bridge, killing the bus driver, Jerome Niemeyer, his wife, and five Bluffton University baseball team members and injuring other passengers. I have been local counsel for ten of the team members. After the Georgia DOT and the bus company’s insurer paid their coverage limits, litigation was initiated in Ohio seeking to have the university’s liability insurance apply to the bus company and driver. Recently, teh Ohio Supreme Court ruled that a driver of a rented bus is covered under a university’s auto insurance policy. The representative parties for our team in Ohio argued that Niemeyer was an insured because he drove a bus, with Bluffton’s permission, that Bluffton hired. The university’s insurers each filed a declaratory judgment action, arguing that the university did not hire but rather contracted for transportation services, making Niemeyer an independent contractor and unforeseen third party they did not intend to cover. In a 5-2 decision, the Ohio Supreme Court sided with the plaintiffs, reversing the lower court’s ruling. Considering the plain meaning of “hire” and “permission,” the court held that Niemeyer was an insured. This opens the door for additional compensation for injured members of the baseball team. The school bus crash this week at Temple, Georgia, highlights several issues about school bus safety. * According to an eyewitness on the bus, Rashawn Walker, the 17 year old student who was ejected and killed, had pulled back another student and saved her from being ejected as the bus rolled over. Though he may have saved another student’s life, he was ejected and killed. His death is an unspeakable tragedy for his family, but from a theological standpoint there are worse things than laying down your life for a friend. * The bus driver trainee had a CDL but lacked proper certification for operation of a school bus, according to a report in the Atlanta Journal Constitution. The degree of training required of school bus driver varies widely among Georgia counties. * The school bus was a new one equipped with a video camera. Video recordings have not yet been released but may be crucial in determining what happened. * The lack of seat belts on school buses is yet again an issue for public debate. The National Center for School Bus Safety lays out the arguments. 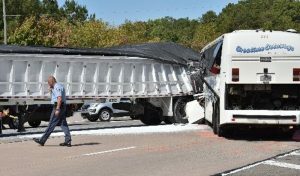 When we worked on the Bluffton University baseball team bus crash in Atlanta a few years ago, one of the good things to come from that tragedy was political pressure for new DOT rules that, we hope, will require seat belts on tour buses within three years. However, school bus passenger seats are still excluded from such a requirement. As a transportation safety lawyer based in Atlanta, regularly dealing with truck and bus crashes, I see tragic recurring themes over the years. Here it goes again. Today, a high school student was killed and ten injured in a school bus crash in Carroll County, Georgia. As a parent of two college age children, the news calls to mind the many times my kids rode school buses and team buses. We parents trust the schools and the bus drivers with our the lives of our children. We expect our children to bury us, and to bury our children seems contrary to the order of nature. Regarding today’s incident in Carroll County, the Georgia State Patrol reported that the bus when it crashed on Highway 113 near Hog Liver Road between Carrollton and Temple, near I-20, around 2 p.m. According to news media reports, the bus flipped and several students were ejected from it. In Georgia, school personnel are virtually immune from civil liability, but immunity is waived to the extent of insurance coverage for injuries and deaths in school bus operations, including loading and unloading. Issues involving driver qualifications, tire failure, lack of passenger restraints, etc., come up time and time again. We represented as local counsel in Atlanta ten Bluffton University baseball players from Ohio with regard to injuries sustained in the crash of their team bus in Atlanta in 2007. Earlier we represented the mother of a college student killed when a team van crashed and he was ejected. Buses are not supposed to run off the road into a ditch. You don’t have to be a truck and bus accident trial attorney, in Georgia or elsewhere, to know that. Early this morning, a Greyhound bus ran off I-16 in southeast Georgia, westbound about halfway between Macon and Savannah. The driver ran into a ditch and then came back on the roadway, according to law enforcement reports. The driver stopped on the shoulder. Five minor injuries were reported. The drive up I-16 between Savannah and Macon can be boring. I drive that route often, but have yet to run off the road though there have been times I pulled off at an exit for a power nap. Investigation is likely to focus on driver fatigue and driver distraction as likely causes of the incident.